The former Tallahassee mayor is calling the voter registration drive “Bring it Home Florida,” a political action group named after his 2018 campaign slogan. In addition to the 4.96 million registered Democrats and 4.7 million registered Republicans in the state, according to recent data from the Florida Division of Elections, there are more than 4 million unregistered Floridians eligible to vote, according to the Florida Democratic party. More than 3 million registered voters in the state have no party affiliation. With 29 electoral votes, Florida is considered the biggest prize among swing states. The difference between victory and defeat is often minuscule. President Trump defeated Democrat candidate Hilary Clinton in Florida by nearly 113,000 in the 2016 presidential election. In addition to overseeing the ambitious voter drive, Gillum will likely continue as a political commentator for CNN. The progressive joined the partisan news network in January as an ethics complaint scrutinizing his relationship with lobbyists while his was mayor was said to be moving forward. 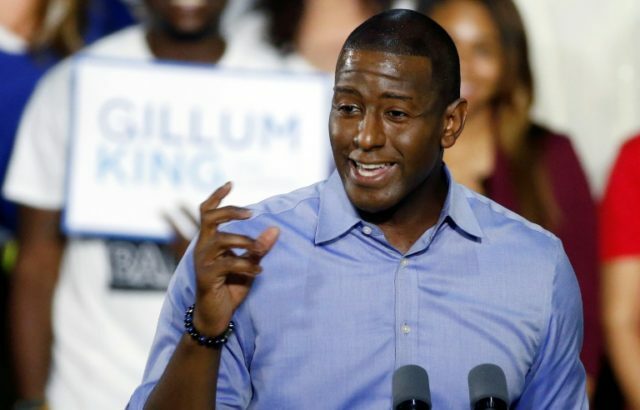 As reported by the Tampa Bay Times, state officials found probable cause on five counts that Gillum breached ethics rules by allegedly accepting gifts while traveling with lobbyists in 2016.